It is not only the hair and the eyebrows that can be colored: there is also a technique for you to dye your eyelashes. Those who have very light lashes like naturally blond women, or who have lost pigmentation, which is common with time, can color the region to highlight the look. It’s a fast and straightforward technique that transforms the expression and gaze. Those with dark eyelashes can also use some color. It adds shine on the eyelashes. Dyeing your eyelashes is not as difficult as you think, but doing it incorrectly can cause eye irritation. To learn how to color your eyelashes at home, you need first to prepare the dye and then correctly follow the steps below to have beautiful eyelashes. The process takes 30 to 45 minutes and is made with a particular product for the eye area which is dermatologically tested. Even so, an allergy test is performed before the application. The initial step in tinting the eyelashes is to choose which dye to use. You should not use normal ink on eyelashes because it has chemicals that can be dangerous for your eyes and eyelashes. 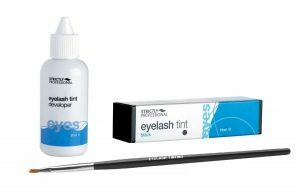 It’s smart to go for a ready-made eyelash tint kit because it comes with everything you need to dye your lashes yourself. One of the most popular eyelash tints is the 1000 Hour Eyelash & Brow Dye Kit. It is super convenient, and it comes with: the color cream, the color developer drops, and an applicator stick. The second step is to ensure the selection of appropriate dye color. I would recommend selecting a color that matches the color of your hair and eyebrows. If you have brown hair chose black color. Black is suitable also for those with black or very dark brown hair. For redheads, the chestnut is good and for blondes might be best to opt for dark blonde or dark brown. The most popular color is actually black. It suits every hair color shape. Have in mind that the color can vary depending on the eyelash dye. If you are looking for lighter and more natural colors, 1000 Hour Eyelash & Brow Dye Kit is for you. If you prefer darker colors, Strictly Professional’s Eyelash Tint is ideal. All tint kits we recommended here come with suppliers. Some of them have almost everything you will need. However, others will not prepare you very well. Regardless what is included in the kits here is a list of tools you will need for you tint session. • Vaseline: this is important for the protector layer around your eyes. The Vaseline will not allow any stain to stay on your skin. • Protective eye pads: Do you know those curved cotton pads that cover your under-eye area? These are essential to avoid any stain on your skin around the eyes. • Disposable mascara wand: there is some applicator in the kit, but I am pretty sure you will dislike it. Believe me, the easiest way to apply the dye is by using the mascara brush (this can also be a washed and dry brush of an old mascara). • Tiny brush: This is for the root of your lashes. You can use a tiny paintbrush or an eyeliner brush. It is essential to perform an allergy test at least 8 hours before the application. Apply a certain amount of the dye on the skin of the neck or perhaps on the skin of the elbow. These are the areas with sensitive skin. Allow the colour to remain for half an hour before rinsing it. It is advisable to keep an eye on the area in which you used the dye. When the itching and burning sensation begins or becomes painful, you will probably be experiencing an allergic reaction. When applying the dye, it is necessary to put a protective layer around the eyes. The best way to do it is by applying Vaseline with a cotton ball. Although the dye is not likely to discolor your skin, the oil jelly ensures that it can be easily washed. The very first thing to do is to clean your eyelashes from any makeup. Then, apply the dye, dip the wand into the mixture. Ensure that the dye is on all side of the applicator. You can use the dipped color brush for the upper and lower eyelashes of the eyes. It is essential to look at the mirror when applying the dye because you will use the dye very close to the roots of the eyelashes. It is possible that the dye may enter into your eyes, which may cause some irritation. If this happens, you should wash your eye immediately if this happens. Do one eye at a time. Since you are doing it by yourself, you will need to see what you do so you will need at least one eye free to vigilance the process. After applying the dye, use clean cotton to clean any stain the dye may have caused around the eyelashes. Wait about 20 minutes before rinsing and cleaning the eyelashes repeatedly with cotton balls dipped in warm water. The durability of the paint is on average 20 days. To ensure a long-lasting effect some care is needed, such as avoiding contact of makeup removers on the lashes as they may decrease the coloration. Another simpler way to color your eyelashes is to visit a professional. In a salon, the procedure takes about 20 to 30 minutes. It is also necessary to ensure that the salon uses a vegetable-based dye. They are not permanent but are perfect to avoid adverse impacts. Any other dye is not appropriate and should be avoided. Also, ensure that the beautician applies protective pads around the eyes to prevent the tint from staining the skin. You should also remember to close your eyes when dyeing is being applied. The professionally applied dye needs about 7 to 10 minutes to dry. A second layer is applied only if the beautician decides is needed. Since even salon treatments for eyelash coloring are semi-permanent, it is necessary to return to the salon after a period of four to six weeks. The henna is a known, ancient, natural and plant-derived tincture used to dye eyebrows, eyelashes, hair and, in many cultures, used in body painting. It comes from leaves and stems of a plant that grows in Africa and Asia. Henna is especially prized in cosmetics because allergic reactions rarely occur when is used. 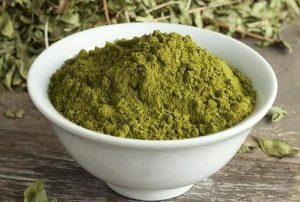 Also, it is worth remembering that the cleanest and least harmful product that can be easily found in drugstores should appear in the form of a green or brown powder. Be sure to avoid black henna because it contains potent, sometimes even toxic, coloring substances. So choose your henna. To dye your eyelashes, you will also need a little hydrogen peroxide, a small container to prepare your mixture and a mascara brush (this can also be a washed and dry brush of an old mascara). Do you have everything? Great, it’s time to begin! 1. Start with a good eye makeup remover. It is essential that you wipe your eyelashes well, no cosmetics can stay. Remember that oily products used to remove makeup can also weaken the effects of henna. This is why you should remove the oily film from the lashes and dry them well. 2. Apply a strong cream to the eye area. Thanks to this, you will avoid any discoloration in unwanted areas of your skin. Also, it will be easier for you to remove any stains that may occur during the dyeing process. 3. I took your pre-prepared container (it does not have to be large, it might be a bottle cap or small glass) and mix the henna with hydrogen peroxide – probably the best thing to do is to follow the instructions on the packing. It should be consistent like a thick cream. 4. Now take the brush and apply the prepared mixture. Under the lower lashes, you can put cotton to avoid stains on the skin. Now apply the henna on the upper lashes in the same way that you use the mascara. 5. Wait for a little. If you want to get a more intense effect, you need to be more patient. Basically, the time the product should be kept on your lashes is between 10 to 15 minutes. 6. Rinse the dye well. Do this gently. 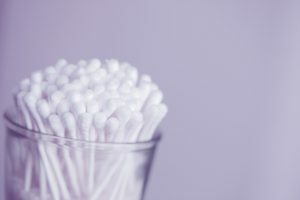 The best way is by taking a cotton swab dipped in warm water. Be careful, do not let henna fall into your eyes. That is all! Now you can enjoy the beautiful new color of your eyelashes for about 7 to 10 days. If you are going on vacation, using henna will be the best solution for you.